This tutorial will guide you through the steps required to use AirPrint, a new feature of iOS 4.2 for the iPad, iPhone and/or iPod Touch, via your Mac. Note: this tutorial will show you how to get around not having a “supported” printer – you can use almost any printer. If you want to just get right to the ‘how-to’ part, skip down to step #1 below. Background: With the release of iOS 4.2, Apple introduced AirPrint, a feature that allows you to wirelessly print from your iPad, iPhone or iPod Touch – as long as it’s running iOS 4.2. The problem is, as of launch time, there are only a handful of printers that support this feature. Fortunately, some smart folks out there figured out a way to get around not having a supported printer. However, there are a couple of drawbacks. The first is that you have to “go through” your Mac to print from your iPad, iPhone or iPod Touch. Generally, the printer also has to be directly plugged into your Mac – not all wireless printers will work. Until Apple changes things, or a lot more printers are supported – here’s how you can print from your iPad, iPhone or iPod Touch. 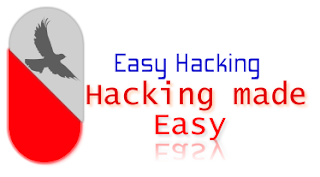 Start out by downloading AirPrint Hacktivator. Once the download has completed, unzip the file and drag AirPrintHacktivator.app to your Applications folder. Launch it from there. The interface is as straight forward as it gets – just toggle the switch from OFF to ON. You’ll be asked for your password. Enter it and click OK.
You’ll get a pop-up message from AirPrint Hacktivator informing you the process has completed. Click OK.
AirPrint Hacktivator will now automatically launch the Print & Fax section of your System Preferences. From the Printers panel on the left side of the window select the printer you want to use to print from your iPad, iPhone or iPod Touch. Then, make sure there’s a check in the box labeled Share this printer on the network. Finally, click the Sharing Preferences… button. Make sure that Printer Sharing is enabled (checked) and the printer you specified in the previous step has a check next to it as well. You can close the System Preferences window now. On your iPad/iPhone/iPod Touch, select the button to bring up the menu that includes Print as an option. Remember that not all Apps allow for printing. In this example we’ll be using the Mail App. Tap the Select Printer option. Your iDevice will now search for available printers. Once it discovers your printer, select it. Now decide how many copies of the item you want printed and use the plus (+) and minus (-) buttons to determine the number. Tap the Print button to send the document/image/file to the printer. That’s it – you’re done. Head over to your printer and pick up your paper!